Come along and experience the Midlands’ coolest choir! Make new friends and meet fabulous like-minded members! A modern choir without all the boring bits! Learn to sing better and belt out those modern tunes! We don’t have lead singers so more singing for everyone! We teach you by ear so you don’t need to read music and we don’t audition! Fabulous performances, choir tours & social events – there’s never a dull moment! 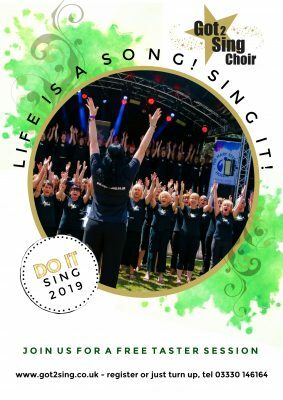 Plus we are singing at the prestigious Symphony Hall Aug 2019…you can be part of this wonderful experience! We’re much more than just a choir – come along and see the difference! Fun adult community choirs – all ages welcome & no experience necessary! Or register for your FREE session here. Can’t make any of the above dates? Don’t worry – you can pop along any week we’re open! Click here.